Almost Home Kids is proud to partner with Service Club of Chicago to benefit children with medical complexities. Over the years, your organization has purchased pediatric medical equipment for our home in Naperville and Chicago. The grant process is clearly communicated and we appreciate the opportunity to personally present our pressing needs to the membership. Being face-to-face with members allows for good Q&A and to be able to share the AHK story in a personable way. Our cost of care is never fully covered by insurance or Medicaid and we turn to philanthropy to help bridge the gap. 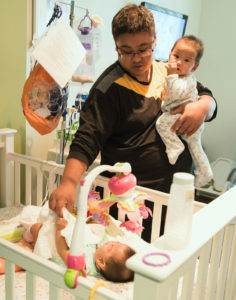 We rely on generous community members to help us “share the care” of children with special healthcare needs.